Cannabis 21 is the premier place to purchase legal marijuana in Grays Harbor, Washington. Located in Aberdeen, our goal is to provide you with quality Cannabis products and excellent customer service. With our knowledgable and friendly staff, we invite you to come and experience recreational relaxation with us! We service the entire county, from Elma, Montesano, Hoquiam, Ocean Shores, Westport and the greater Olympics! Be sure to stop in to our, three time, "Best on the Twin Harbors" winning location! our gardens are our roots. Cannabis is a plant, like so many others. We consider our shop to be a farmer's market, showcasing selections of flower, extracts, edibles and glass from as close as we can get it. The majority of our products come from smaller scale farms located within 100 miles of our location here in Aberdeen, Washington. We take a special effort to get to know our grows and to work with gardens, extractors, bakers and topical makers who take the greatest amount of pride in their work. Awesome service, great selection. Love this place. We are literally the only cannabis stop to win the "Best of twin harbors" award, and to further that, we were voted 2018's business with the best customer service out of all twin harbors businesses! Excellent selection and excellent customer service from smiling faces. More medical knowledge of Cannabis than any other shop on the harbor! Only place I go in Aberdeen. I love the grass and the the employees. Our procuring team works diligently to establish great relationships with, not only the farms, but also the craftsmen and women that produce the bowl your proverbial salad is served in. Between Elma's Ehi Spaulding and Westport's Elements Glass art, we have two distinct styles of glass that stand out among any collectors selection! 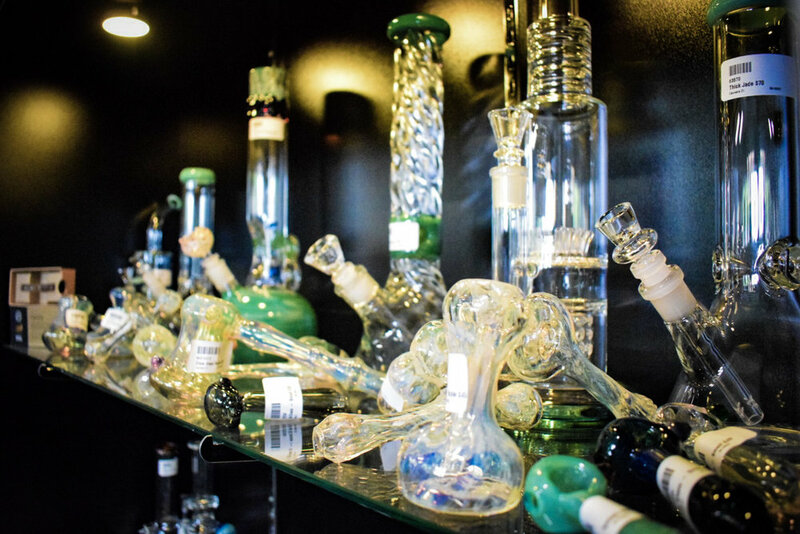 Outside of that, we carry a giant selection of bigger pieces, silicon, vaporizers and grinders! We even have gear that comes out to party during our spring and fall event!